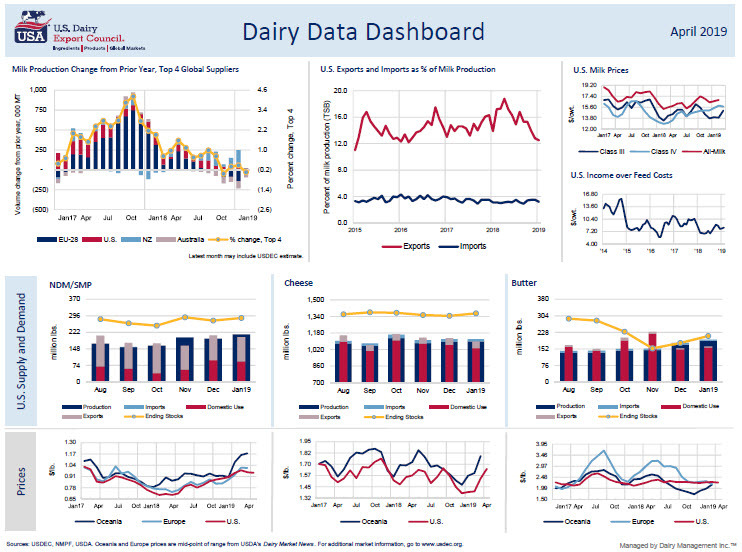 The April Dairy Data Dashboard is now available. Go here and scroll down page, past the dashboard, to dig deep into our interactive charts. Get an email alert when the latest Dairy Data Dashboard publishes mid-month by subscribing to the U.S. Dairy Exporter blog here. Delve into USDEC's frequently updated interactive charts showing market and trade data here.